A wealthy and powerful person is always surrounded by servants, relatives, hangers on, followers and employees of all kind. This is obviously due to the power and wealth which such a person possesses. However such powerful persons are always susceptible to betrayal by the crowd which surrounds him. For this purpose the Bhoothnath Pisaach Yantra is considered to be an excellent remedy. 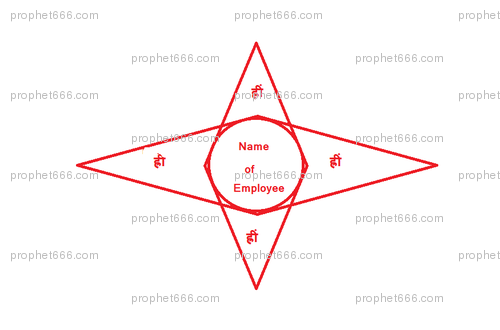 This Yantra is said to protect the owner from betrayal and his employees, servants and relatives work in a proper and honest manner. Bhoothnath is one more name for Shiva; spirits, demons, ghosts and others of the same Yoni; worship him for salvation. This Yantra is prepared on Bhojpatra; with Gorochana paste. Then it has to be energized as usual with Dhoop, Deep and Flowers. After this the Yantra is said to give the best results if it is put in Curds; for example a small bowl of Curd which can be stored in a secure place. 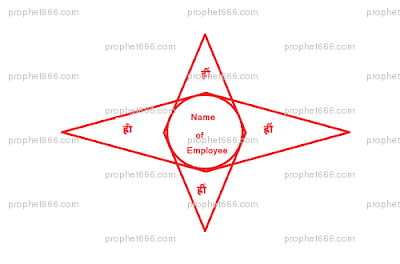 Pranam guruji.. what i should write in the middle of the yantra in place of the 'name of employe'? then what to do with the yantra after put it in curd? waiting for your reply..